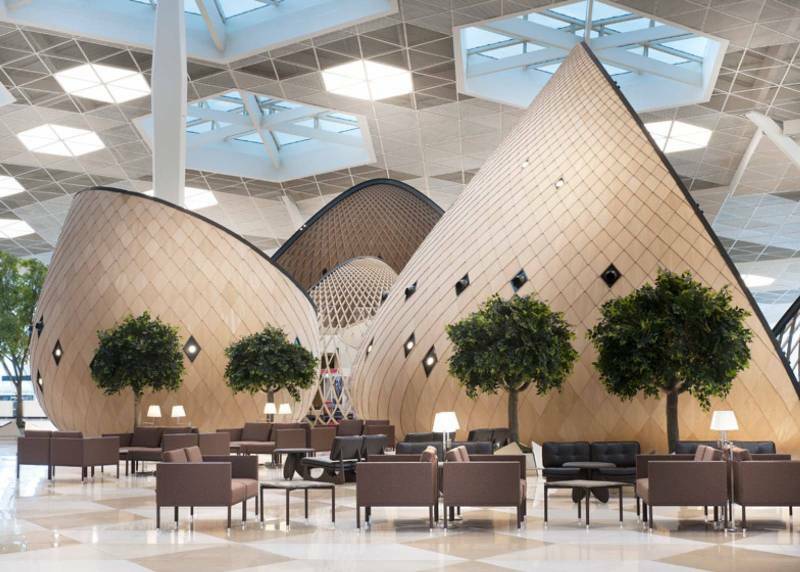 Innovation meets organic beauty in Azerbaijan’s newly constructed Heydar Aliyev International Airport terminal. 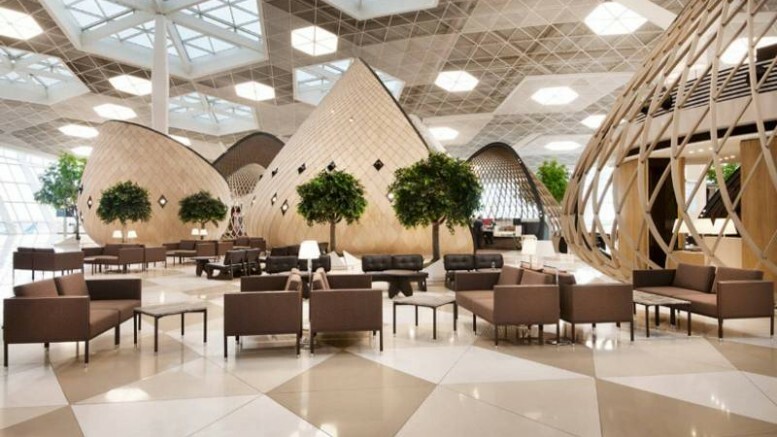 Designed by Istanbul-based architectural studio Autoban, in collaboration with Arup and Woods Bagot, the 65,000 sq. 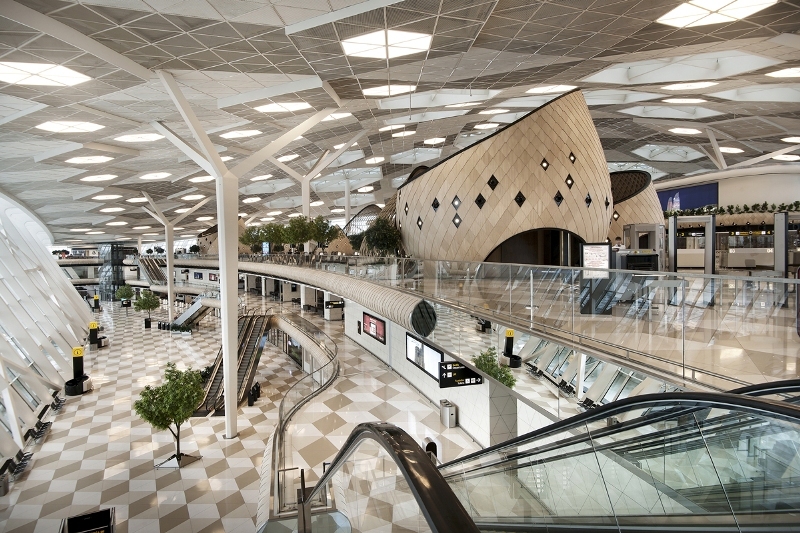 meter building is unique for the colossal “cocoons” that are incorporated seamlessly into the otherwise ultramodern interiors. 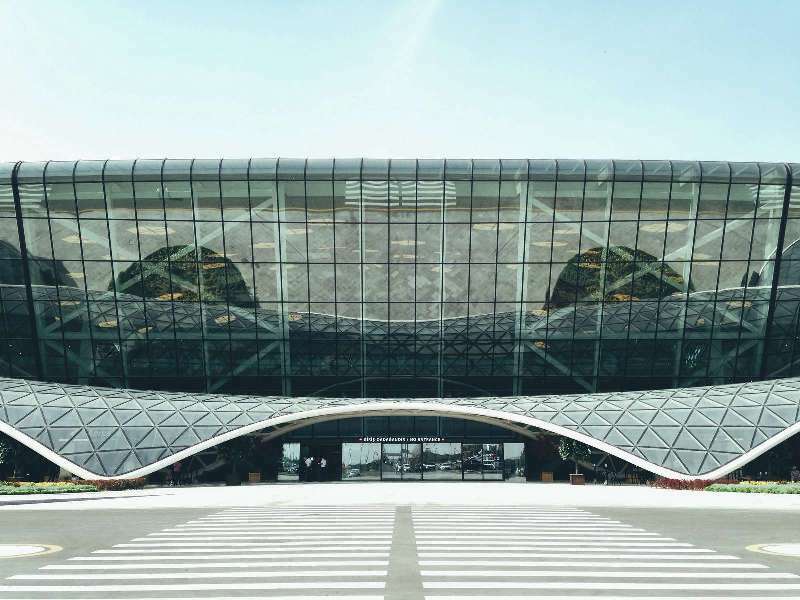 Located in the city of Baku, this architectural marvel is indeed revolutionary in terms of its highly experimental yet practical design. 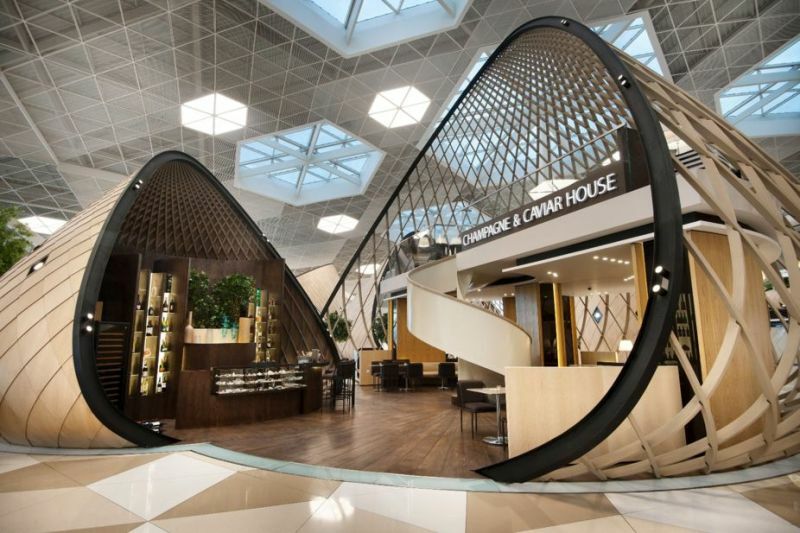 Based on their initial brief to create an environment in which “all passengers should feel like they are VIPs”, designers Seyhan Özdemir and Sefer Caglar have made brilliant use of curved pieces of intricate wooden latticework to create cozy cabins that double as lounges. Polished with earth-toned oak veneer, these “cocoons” are actually interspersed by custom-made furniture and even trees, such that the entire setting exudes warmth and comfort. The pods act as cafes and kiosks, and are arranged in a way that the travellers are offered privacy, while also providing opportunities to mingle with others. 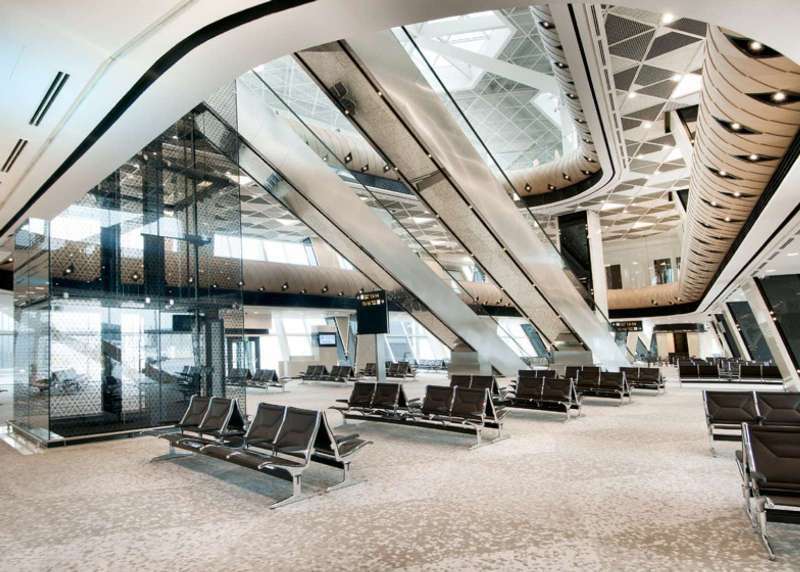 The Heydar Aliyev International Airport serves a yearly total of 6 million passengers, and houses four additional deluxe “Salam Lounges” to be used exclusively by the executive class. 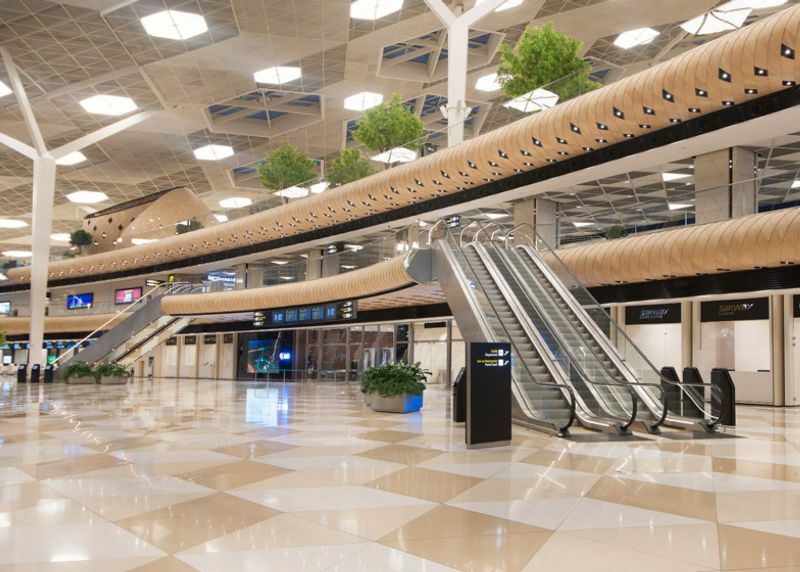 The highly inventive use of limited space and natural lighting, along with the incredibly sophisticated interiors, is what has earned this airport building the coveted Red Hot Design Award.